Whether you are looking for a locking carabiner for a way to hold and organize your keys, or for a more recreational purpose, like climbing. It is important that you find the perfect one that fits your needs. Not all locking carabiners are created equal and the last thing you will want to happen, is you grabbing one that isn’t suited for your intended use. This could end up leaving you in a harmful situation, especially if you are planning any weight-bearing activities, so it is always important to make sure you know exactly what is it you are looking for. As mentioned above, not all products are created equal, so it is important to keep in mind what you plan on primarily using the carabiner for. Some products aren’t designed to withstand higher amounts of weight and some are specifically designed for that. If you are planning on using it for climbing, or even hanging a hammock, you need to pay close attention to how many kilonewtons the product is designed to handle. It is also important to check and see if it is specifically designed to be used while climbing because, even though it may be able to handle the weight, the locking mechanism may not be strong enough, or safe enough to be used while climbing. 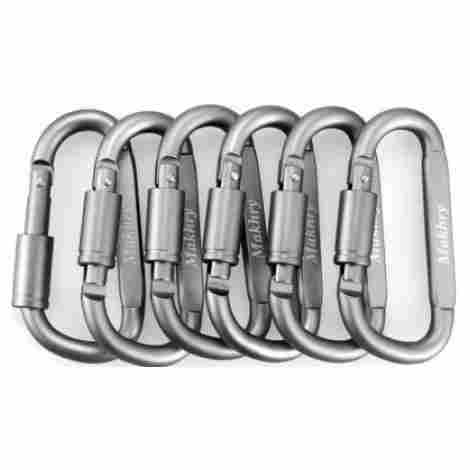 Below is a list of the best 10 locking carabiners that keep all of these aspects in mind. If you are looking for a product that is both durable and lightweight, then this is the perfect choice for you! Made from aluminum alloy, these 2” carabiners are the perfect asset to take along with you, no matter what type of excursion you plan on going on. They are spring loaded, so hooking them and unhooking them are quick and effortless. Coming in a 20-pack of black or assorted colors, you can take this product with you hiking, camping, or use them around the house for multiple uses. This product is made from a strong, durable aluminum. This material is also known for how lightweight it is, which makes for a perfect accessory to carry around with you. It is also spring-loaded, which makes it easy to open and close. This product is also extremely versatile. You can use it when you are camping to hold up towels to dry, while you are hiking to help keep your backpack extra secure, or even as a keychain holder. With this many uses, a 20-pack can go a long way into making your life just a little bit easier! If you are looking for a product that has multiple uses and comes in a larger pack, then this is the ideal choice for you. When compared to other locking carabiners on this list, this product falls into the average price range. 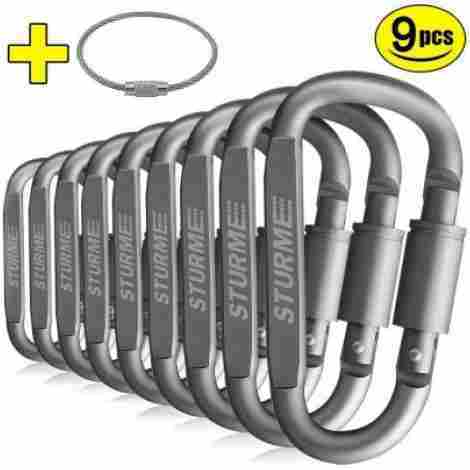 Since you are getting a 20-pack of aluminum carabiners that are spring loaded and can be used for anything from camping to household use, you are getting an amazing deal on a great product that you can’t say no to! Are you looking for a heavy duty product that can withstand the weight of a camping hammock? If you answered yes, then this is the ideal choice for you! This lightweight product will surprise you with how strong it is. It is made from a strong, durable aluminum that can hold well hold 2,000 pounds. Weighing less than 1 ounce and measuring just over 3 inches long, this product is proof that good things come in small packages! Coming in a 2-pack with a variety of colors to choose from, this product is sure to please. This product was designed with overall strength in mind. Tested to hold up to 2,697 pounds, you won’t ever have to worry about this product breaking while you are trying to relax on your hammock. Despite its incredible strength, this product weighs less than 1 ounce! This product was also designed with efficiency in mind. It is equipped with wire gate technology, which makes this product easy to open and easy to latch onto things, so you don’t have to worry about struggling to screw it open or close. In comparison to other locking carabiners on this list, this one falls into the average price range. Given the fact that you are getting 2-pack of solid aluminum carabiners that can withstand over 2,000 pounds, weighs less than 1 ounce and measures just over 3 inches in length, and is equipped with wire gate technology, you are getting an amazingly strong, high-quality product for an amazing price that you can’t walk away from! If you are in the market for an extremely strong product that is built for climbing, then this is the perfect product for you. Tested to withstand over 5,000 pounds, this product is both strong and durable. With a screw lock design, you are able to twist open or close with one hand, making it easy to manage by yourself. Weighing just over 3 ounces, this durable aluminum carabiner will be your go-to asset no matter where you go! This product was designed with strength in mind. It has the ability to withstand over 5,000 pounds, which makes this the perfect accessory while climbing. 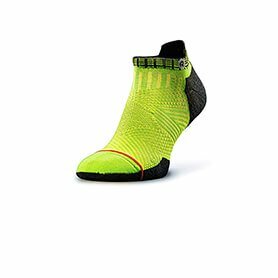 Its durable design allows you to feel confident and safe during your climb, allowing you to focus more on taking in the view and enjoying your climb. This product was also designed with ease in mind. It has a screw lock design that is so easy to manage, you can do it one-handed. This design makes it perfect for rock climbing since there are many times when you only have one hand free. When you compare this locking carabiner to others on this list, this one falls into the more expensive price range, but don’t let the price scare you off! Keep in mind that you are getting a high-quality, durable product that is able to withstand over 5,000 pounds, is lightweight at just over 3 ounces, has a screw lock that can be managed with one hand, and has a curved spine which allows for a bigger opening, so you are getting an amazing product for a great price! 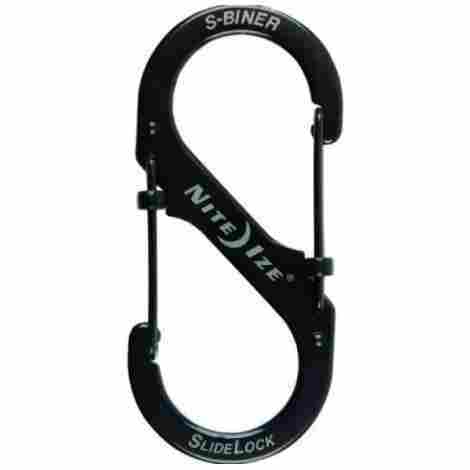 Made from a durable, strong stainless steel, this S-shaped carabiner offers support and durability. The unique Slidelock design allows you to use both sides of this product for maximum functionality. The gates also lock independently, so you can choose to use one side at a time or both and the design also makes for easy clipping or unclipping. Backed by a worry-free guarantee, you will be happy that you made this choice. Are you tired of those cheap plastic products that bend and break within the first couple of uses? That won’t be an issue with this product. Made from a strong stainless steel, this product was designed to withstand anywhere from 10 pounds to 75 pounds, depending on the size that you get, so you know that it was made to last. This product was also designed with ease and functionality in mind. This type of design allows for both sides to be used at the same time. It also allows for easy clipping or unclipping and, once it is close, it offers a secure, worry-free locking system. If you are looking for a cost-effective way to keep your keys in one place, then this is the ideal choice for you. When compared to other locking carabiners on this list, this one falls into the less expensive price range. Considering that you are getting a strong product made from stainless steel that is equipped with a Slidelock design for a secure, sturdy lock, is equipped to handle anywhere from 10-75 pounds depending on the size, has 2 different colors and 3 different sizes to choose from, and is all backed by a worry-free guarantee, you are getting an incredible product for a price that won’t empty your wallet. Made from a unique aluminum alloy, this strong but lightweight product, offers the durability you need, with the weight that you are looking for. Its design makes it easy to take along with you camping, fishing, or just your day-to-day errands. Its spring-loaded locking system will leave you feeling comfortable and confident. Coming in a 9 pack and backed by a 1-year warranty, you really can’t go wrong with this choice! This product is made from a unique aluminum alloy that also contains silicon and magnesium. This gives it a strong, but lightweight design, making it easier to take along with you. This design also makes for ultimate confidence due to its strength. This product also has a screw lock design. This design helps it lock in place, so you never have to worry about it popping open. It is also spring loaded, which make it simple to latch and unlatch, without having to struggle. 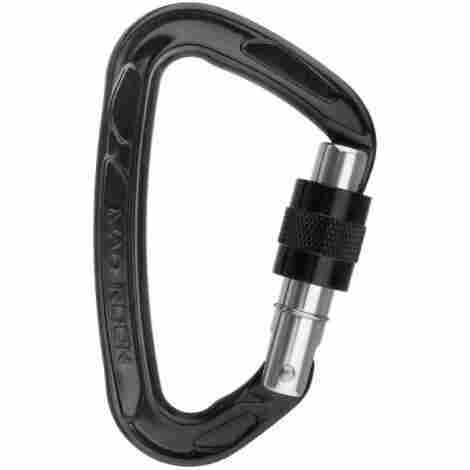 In comparison to other locking carabiners, this one falls into the average price range. 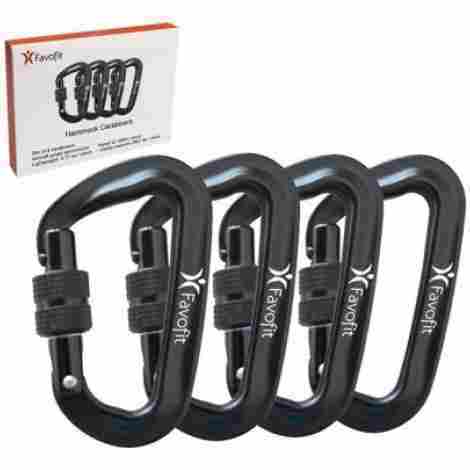 Considering that you are getting a 9-pack of strong, yet lightweight carabiners made from a unique aluminum alloy, that also comes equipped with a screw lock design that helps make this product more secure and comes with a 1-year warranty, you are getting a great deal on an amazing product. Made from a solid aluminum alloy, this product was designed with durability in mind. It is also equipped with a D-ring design that has a screw lock, which makes this product extra secure. Whether you are camping, or fishing, or just looking for a product that can hold your keys in a secure place, this product is a great choice for you! Coming in a variety of colors to choose from and a money-back guarantee, you will be happy that you made this choice. This product was designed with stability in mind. It has a D-ring screw lock system that helps ensure the safety of your items. Even though this has a screw lock design, it is still easy to latch and unlatch, even with one hand! If durability is what you are after, then this is the product for you. Made from a strong aluminum alloy, this product was made to last. You can use it to store keys, or take it with you camping or fishing and you won’t have to worry about it bending or breaking. When compared to other locking carabiners on this list, this one falls into the average price range. Given the fact that you are getting a 5-pack of durable carabiners that are made from a strong aluminum alloy, are equipped with a D-ring screw lock system, come in a variety of colors to choose from, and are backed by a money-back guarantee, you really can’t go wrong with this choice! This product is made from a strong aluminum alloy that is aircraft grade. Its super strength makes this a great fit for hiking and climbing. Equipped with a keylock nose, you can rest assured that this product will stay locked at all times. Designed with the ability to withstand up to 24kn, you know that this carabiner was built tough and built to last. This product was designed with the ultimate security in mind. It is equipped with a keylock nose, which means instead of having a gate with a pin, it has a locking feature that is a lot like a jigsaw puzzle, making it harder for it to come loose and unlock. This product was also designed to be extra strong and durable. It was designed with the ability to withstand up to 24kn, which is over 5,000 pounds! This means that you don’t have to worry about it bending while you are in the middle of climbing, which should be a huge relief! In comparison to other locking carabiners on this list, this one falls into the average price range. Considering the fact that you are getting a product that is made from a durable aluminum alloy, is equipped with a keylock nose that helps keep the lock in place, and is designed to withstand over 5,000 pounds, you will feel secure and confident with this choice! If you are looking for a smaller product that is both strong and lightweight, then this is the ideal product for you! This palm size product may be small, but don’t let the size fool you. Designed to hold over 2,500 pounds, this is one tough carabiner. Perfect for hanging hammocks or using while camping, this product was designed for the rugged outdoors. The snag-free design makes this perfect for virtually any material since it won’t snag or tear. Coming in different color choices, you are bound to find the perfect fit for you! This product was designed with strength and durability in mind. Although it is small, it can withstand 12kn or 2,697 pounds of force. This means that you can hang those hammocks with peace of mind, knowing that it won’t snap or break! If you’re tired of carrying around those larger, clunky carabiners, then this is the solution to your problems. This product has a smaller design, fitting in the palm of your hand, making this product lightweight and easy to carry around with you wherever you go! 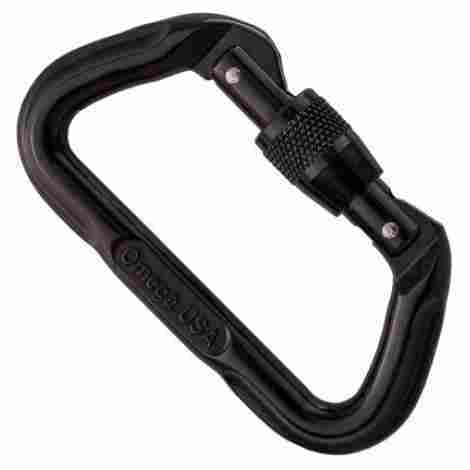 In comparison to other locking carabiners on this list, this one falls into the more expensive category. Given the fact that you are getting a smaller, yet durable product that is made from aluminum alloy, comes in a 4-pack, has the ability to withstand over 2,600 pounds of force, has snag-free design, and comes in different color choices, you are getting a great product for a decent price that you can’t say no to! 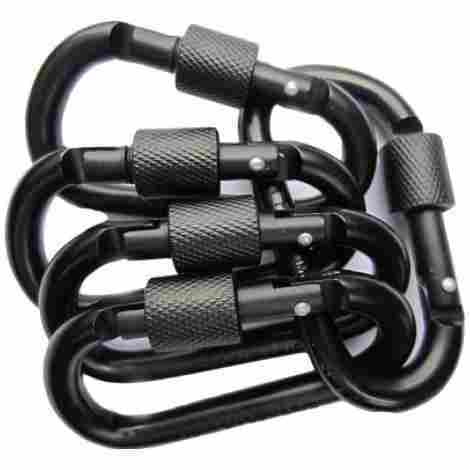 Made from a solid aluminum, this 6-piece set of carabiners was made with durability in mind. Designed with a snap hook that is spring loaded, this product is easy to manage. Its lightweight design makes this perfect to take with you while you are camping or fishing. It is also designed to hold up to 100 pounds, so you can hang your gear or just use it to hold your keys. Coming in a variety of colors, you are sure to find the set that fits your needs. If you are looking for a product that is built to last, then look no further. Made from a strong, durable aluminum alloy, this product was made with longevity in mind. Strong enough to hold up to 100 pounds, you know that this product was made to last for years to come. This product was also designed with ease in mind. It is equipped with a spring snap design that snaps the locking mechanism in and out, which makes latching and unlatching an absolute breeze! If you are looking for a product that is durable and that won’t put a major dent in your wallet, then this is the perfect option for you! Compared to other locking carabiners on this list, this one falls into the less expensive category, which is great news for you! Considering the fact that you are getting a durable product made from a strong aluminum alloy, can withstand up to 100 pounds, has a spring snap locking mechanism that makes latching and unlatching easy, and comes in a variety of colors to choose from, you are getting a great deal on an amazing product. If you are looking for an extremely strong, reliable carabiner, then this is the perfect choice for you. Built as one of the strongest carabiners made from aluminum that is out there, this product can withstand almost 7000 pounds. Made with a screw lock design, you can rest assured that this product will keep you safe and secure! This product was made with strength in mind. Made from a durable aluminum, this product can withstand 31kn, which is nearly 7,000 pounds! This means that you will never have to worry about whether this product is safe to use or not. This product was also designed with security in mind. Equipped with a Screw-Lok design, this product locks into place, leaving you feeling safe and secure while climbing. This will have you wishing you had purchased one sooner! When compared to other locking carabiners on this list, this one falls into the average price range. Given the fact that you are getting an extremely strong aluminum carabiner that can withstand nearly 7,000 pounds and is equipped with a Screw-Lok design for added safety and security, you are getting a high-quality product for an incredible price! As you can see by looking at this list, each carabiner is made a little different. Some are made to withstand higher rates of force, while others are not. Some are made with screw locks or keylocks for added safety and security, while others are not. It is important to remember exactly what you intend to use the product for before you purchase it. This is especially important if you plan on using it for any type of climbing. The type of locking system it has, along with how much weight it can withstand will determine how safe it is to use for such activities. If you are unsure of what the product is designed for, you can always look at the product details to ensure maximum security and safety. This list was designed to help take some of the pressure off of finding that perfect locking carabiner and help you get on that right path to finding one that best suits your needs. Depending on what you are planning on using the locking carabiner for, it is important to check the overall weight capacity that it can tolerate. 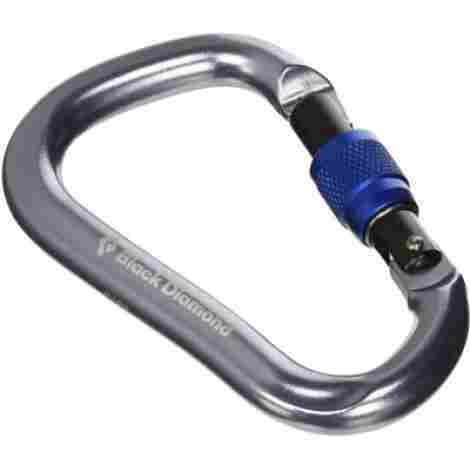 Most carabiners use the measurement of kilonewtons, which is how much force the product can handle. The higher the number of kilonewtons, the more force, or weight it can handle. Some products are designed to hold smaller items, such as keys and smaller bags or equipment while camping. These products have a lower kilonewton measurement, so they would not be able to withstand higher amounts of weight or any type of weight-bearing activity. Other products are designed to withstand higher amounts of weight or force. These products have a higher kilonewton measurement. They are specifically designed to handle larger amounts of weight and force, such as hanging hammocks or climbing. Even though it may be able to handle a heavy load, it is still important to make sure that it was designed specifically for climbing, to ensure your overall safety. The overall shape of the product also plays an important role in finding the perfect one that fits your needs. The shape can determine how large a gate, or opening, it has and how much you are able to hang from it. There are many different shapes out there, so it is imperative to find the one that best suits your needs. For example, if you are looking for a product that can hold more gear or items, then an oval-shaped product might work best for you. If you are looking for something with a larger gate opening, making it easier to manage and latch, then getting a D-shaped product might work best for you. It is always important to read the product details to ensure that you are getting everything that you need in a carabiner. The locking mechanism that a carabiner has is extremely important as well. Each locking system has its own perks to it, so it just comes down to what best suits your needs for your overall purpose of use. There are a few different types of locking mechanisms that you will see while you are out shopping and they are; screw locks, key locks, and automatic locks. Screw locks are designed with extra safety in mind. With this kind of locks, you have to take an extra step in order to unlock your carabiner. It has to be screwed or unscrewed in order to unlock the device. This adds more safety and security while using the product and can generally be done with only one hand. Keylock noses are also designed with safety in mind, but with an extra added feature. These types of locks are designed to be a little more challenging to unlock than a screw lock. They are actually more like a jigsaw puzzle, where you have to move it through a pattern to get it to unlock. These types of locks just make the product that much safer and can be unlocked in mere seconds once you get a better concept of the pattern and design. Automatic locks are the easiest of the bunch. This is because all it takes to unlock this type of device is to simply push down on the mechanism unlock. These types of locking mechanisms are spring loaded, so they just simply snap back into place. They are generally used on carabiners that have a lower weight tolerance because the lock isn’t as reliable as the others mentioned above. The material that a carabiner is made from can play an important role in its overall durability. 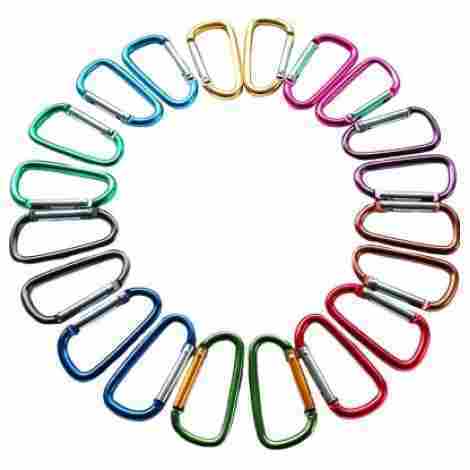 Most carabiners these days are made from either a strong aluminum alloy or solid steel. Although the solid steel is most likely the better choice when it comes to major weight-bearing activities, such as climbing, due to its more solid, sturdy design, don’t count out the aluminum alloy carabiners! The aluminum alloy carabiners these days are generally made from a strong aluminum that is used on aircraft, so they can be durable and reliable. It is still important to read the product details to ensure that you are aware of its intended use to ensure maximum safety. As always, the cost of the product plays an important role as well. Whenever you are making an investment, no matter how big or small, you always want to make sure that you are getting your money’s worth and that your money isn’t going to waste. It is no different when it comes to purchasing carabiners. Whether you are just planning on using the product to hang smaller items, like keys and smaller bags, or using them for climbing or hanging hammocks, you will want to make sure that you are getting a high-quality product for a reasonable price. The cost of a carabiner varies on a couple of factors, the first being the number of kilonewtons, or force it can withstand. The more durable products that are meant specifically for climbing and weight-bearing activities are going to be more expensive than those with lower kilonewtons. This due to the overall nature of use and the stability, durability, and longevity needed for these types of activities. Another factor that plays a role in the cost is the material that it is made from. Products that are made from aluminum or aluminum alloy tend to be cheaper than the products made from a solid steel. 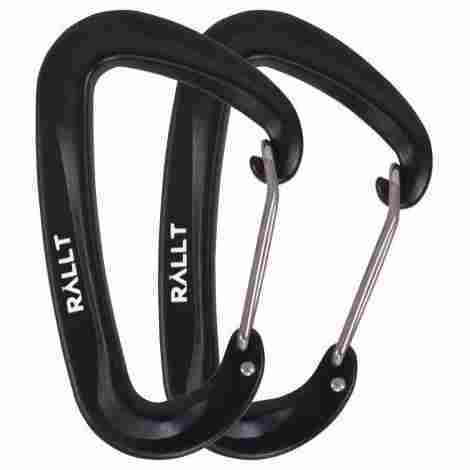 For example, if you are looking for the ultimate carabiner for rock climbing, you will notice that you will be paying a few more dollars for the solid steel product versus aluminum alloy because it is a much more solid and stable piece of metal. Q: What is a kilonewton in reference to weight? A: Most people think that the amount of kilonewtons has to do with actual body mass or weight it can hold, but they are wrong. It has more to do with force and gravity than anything else. For example, when you see a product that can withstand 24kn, it does not technically mean that it can hold over 5,000 pounds of weight. It means that’s the amount of force it can handle without breaking or bending. That is why it is so important to remember to check the product details to ensure its intended use and that you are getting the best one that suits your needs. Q: What is the difference between a screw gate and a keylock nose? A: Although they both focus on securely locking the mechanism in place, the main difference is how they latch and unlatch. A screw gate requires you to screw the lock into place, leaving little room for unintentional unlatching if screwed on correctly. The keylock actually takes the safety of the lock to a whole new level. Instead of just being an ordinary lock that you push in, it requires you to follow a specific pattern while you push in, allowing very little room for it to unlatch unintentionally, making it safe and secure for climbing. Q: What do the terms, major axis and minor axis mean? A: The major axis refers to the area where the weight is supposed to be distributed. This is the area that doesn’t include the gate. The major axis is designed to withstand the bulk of the weight as described in the product details. The minor axis refers to the part of the carabiner where the gate, or opening is. This part of the product is not designed to hold as much weight as the major axis but can withstand some amount of weight without causing the gate to pop open.